Living alone. Hmmmm. I don't like it. The days are long and I am usually out of things to do by 2 p.m. I have two dogs I walk every day. I work out a couple of days a week and I continue to work two days a week. Widowed for 9 yrs then remarried for all the wrong reasons and was divorced 18 months later. I have been divorced for 4 yrs now and I just turned 66 yrs old. I have a very small family base (two married sons and 3 grandchildren and they are very busy with their own lives and jobs). When I was first widowed I met 3 other widows who I would get together with once a month for dinner, wine and great talks late into the night. They have since all have been married and now it's an occasional lunch; which includes ongoing texts with spouses then rushing off as they (as a couple) have plans. I have a house / yard I take care of and occasional trips. Still huge empty space in my home, heart and psych. Something missing. I like to give and share but am SELECTIVE to whom as I was married 50 years to a dynamic man the center of my life and now I have a void so because I need activity. I fill my life with recreation as a means to an end, meeting others. Volunteering was not for me as I require a two/way street with vibrant/colorful/active peeps so I moved on and support a good friend, emotionally so Sue is MY cause and I am receiving vitality and companionship from Sue. I have another Friend Kathy who's helping me with my pool game and whom I encouraged to join my local health club as K has a weight problem and K joined; so I like to see good results/karma from helping individuals who happen to be my friends as I NEED the support and reciprocation to be that two/way street of give/take. Both my friends are single and striving so I relate best to underdogs who are beating back the odds as I have. Onward. You can fill as many hours as you have available and doing things for others will not only fill your time but give you and the recipients of your time joy. You can volunteer for an organization of a regular schedule if you like or be a visitor of hospice and visit whenever you wish. Volunteer opportunities are available on a drop in basis and in any field that interests you. Whatever you enjoy doing there are other people who enjoy that too so Volunbteer to help those people who need transportation to the events or activities. I does not matter what Volunteer. If you end the day exhausted and fall into bed with a feeling that you enriched someone elses life, you will not have time to be lonely. I was widowed 6 years ago. My daughters lived at home until 2016. I retired by choice in May of 2017. The year that I was alone while I was still working was lonely but I still had my job. Now that I'm retired I really feel the loneliness. I have hobbies, a home and interests but they don't seem enough. I feel at loose ends, feel sad and anxious and am really in a funk and I don't know how to get out of it. Retirement certainly is a transition that's for sure. I'm sure glad I found this site. Reading that I'm not alone by any means is helpful. Your life parallels my own. I can identify with everything you said. I was an only child, so I don't mind doing things alone: like taking myself to lunch, or driving into the town park to watch the ships and boats go by. My health declined a bit a month ago and I decided to give up my dog. Coming home to an empty house is a miserable thing. But you are doing all the right things. You have to keep moving and finding even little things to do each day. I have started to check out the senior center. If one class doesn't catch, another one will. Sooner or later I hope to meet a friend or two. Yes, I totally agree. I am lonely and there is a huge void in my heart. I was married for 20 years and then my xh left for a younger woman and I've yet to meet someone I would want to be with. I have friends and plenty of activities, but I miss my companion and friend. I know what you mean! I have a roommate and we do things together. However, our lifestyles are different. I have recently been reaching out to old cronies and ex coworkers. I like to hike, have a few drinks with friends, gardening, travel some. Hope you stay in contact. I will be turning 64 in September am single have 1 brother left and 2 nieces, 2 nephews. I remember working and not being able to visit family life was busy. I get it! I got a new puppy a couple of months ago. I am taking him to classes he is taking a lot of my time. I guess we have to get creative and reinvent ourselves. I retired 2 years ago after being a RN for 38 years. Far be it from me to give advice. 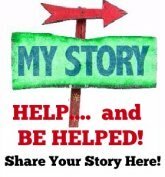 I was in Al-Anon for a long time and one thing I learned was advice was not helpful, but sharing experience, strength, and hope was helpful. Also in Al-Anon we say, "Keep coming back" that's the only advice. You will find the help on these pages. (Thanks to Wendy). By hearing stories that others have experienced. I wish you all the best. I had a very, very hard time in early retirement, and now I have found useful and interesting things to fill my day. Of course, I am an introvert, so activities, like hobbies, are just what I like. I also get along very well with my husband who is also a homebody. Hi. I feel the same way. I have started watching too much TV and sleeping. I foster dogs but it does not keep me busy. I am 70. My husband died last year. Complications from diabetes. I have 2 dogs, 14 yo shih tzu mix and and a 10 yo bichon mix. Or- Living Alone Can Be Glorious! You poor dear. I can honestly tell you, I've never been happier living alone. Never did, in my whole life until I was widowed and now I am grateful for every single day. I can get up when I want, go to bed when I choose, watch what I want on TV, have the radio playing all day, eat what and when I decide to, come or go, putter the day away, read all day if I like, spend the day crafting, go to the library and hang out, mess around on the computer as long or when ever I want....the possibilities are endless. I have to admit, I enjoy my own company. I can find humor in pretty much anything and am never, ever bored. I have a hard time even imagining women who remarry after being widowed. No....you need to look at life from a different angle and discover the delights in being your own person on your own terms. It's grand! In many ways you seem to be doing quite well. Working twice a week and doing what you are doing. When you were a child or a teen, was there something you always dreamed of doing or learning? If so it is still silently lurking in you urging you toward in some way. Most people find real satisfaction if they can join a group that volunteers to help others…through a church or a group. We don't know what your work was, but is there something you could teach others? Keep us posted as you find your way which you will eventually. Blessings to you.